Our lovely two-bedroom villas are nestled in the east end of The Village neighborhood adorned with sidewalks, gardens, and pleasant views on gently winding streets. 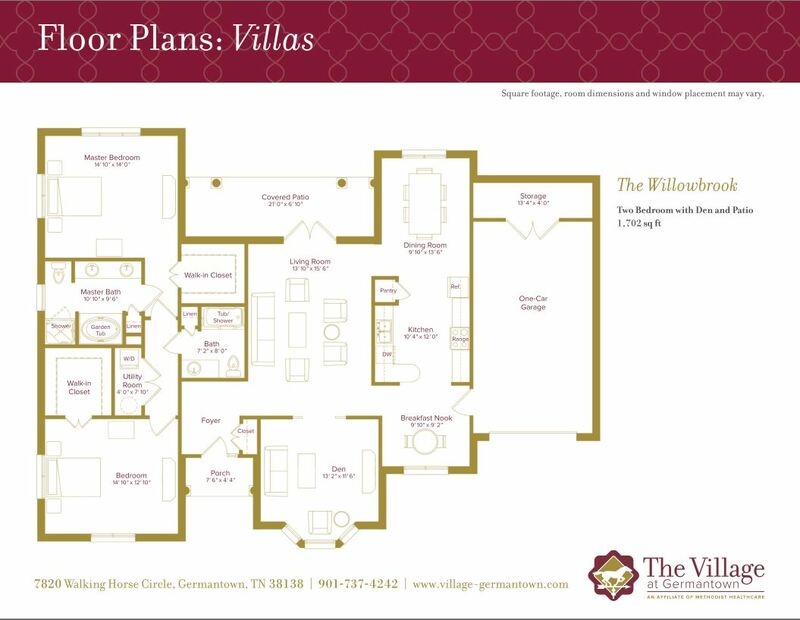 Inside each villa, you’ll find high ceilings, an abundance of windows, and a patio perfect for enjoying the weather. You’ll also have a large walk-in closet, washer and dryer, fully functional kitchen with full sized appliances, and extra storage space. You’ll even have an attached garage for your convenience. You can enjoy living at home without the housework. We will take care of your yard work and upkeep. 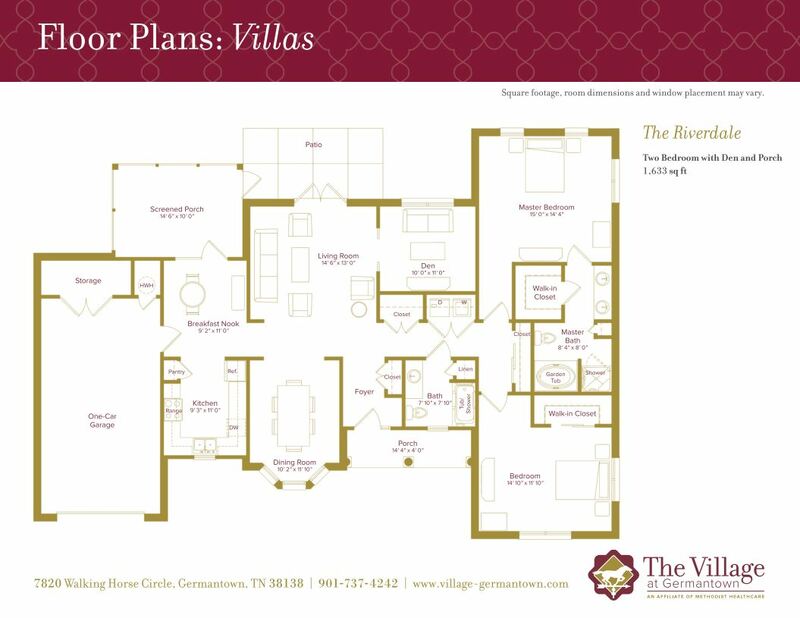 Two floor plans ranging in size from 1,633 to 1,702 sq. ft. The Village at Germantown will allow you or your loved one to have the perks of living in a community, all while maintaining your independence. In addition to housekeeping services and dining options, you can enjoy a fitness facility, transportation, a beauty salon and barber, movie theater, wood shop, and more. For your safety, there is a 24-Hour EMT and security service. For more information or to schedule a tour, please fill out our online form, and we will get back with you as soon as possible.